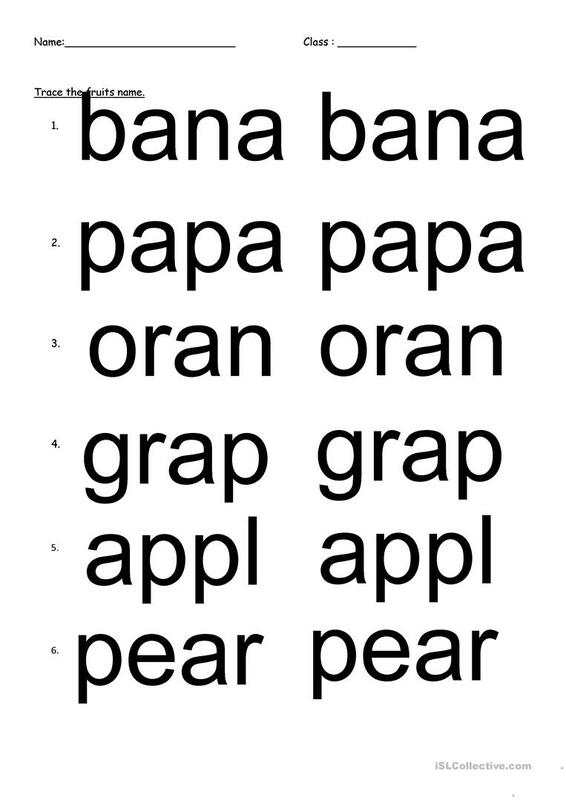 Drilling worksheet on how to spell fruits name. Students need to fill up the missing letter in the worksheet. 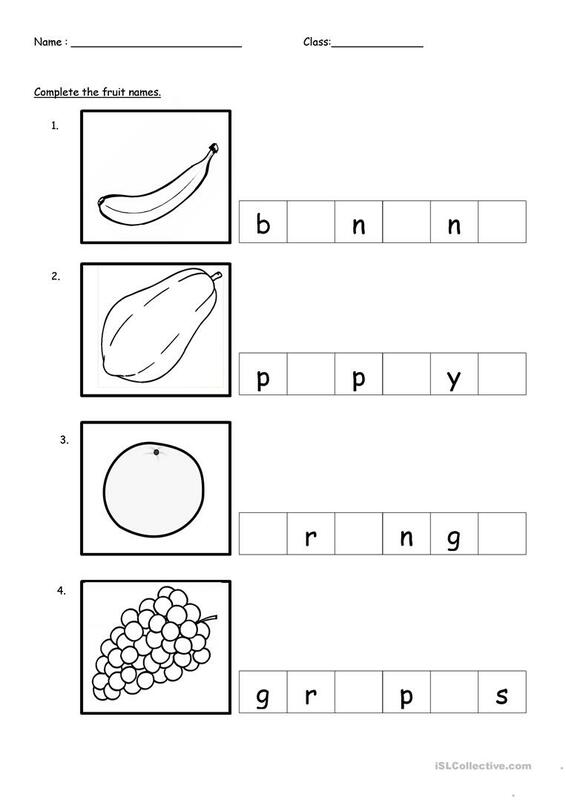 This worksheet could enhance students on their spelling. The above printable, downloadable handout is a great resource for kindergartners and nursery school students at Beginner (pre-A1) level. It is great for teaching Personal pronouns in English, and is a valuable material for honing your groups' Spelling skills. It centers around the topic and words of Food. herneyta is from/lives in Malaysia and has been a member of iSLCollective since 2015-03-13 04:13:58. herneyta last logged in on 2015-03-13 04:13:59, and has shared 1 resources on iSLCollective so far.